Welcome to my post about making caramel sauce and candy. If you can make one, you can make the other. I promise! 1 Is It Hard to Make Caramel and Caramel Sauce? 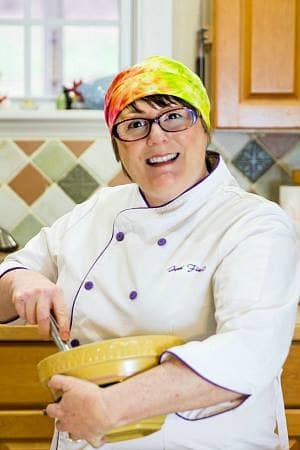 2 What Are the Ingredients in Caramel Sauce and Candy? Is It Hard to Make Caramel and Caramel Sauce? Since caramel is made with molten sugar, many folks are afraid that it’s too hard to make. Actually, it’s not hard at all to make as long as you are careful around your sugar. Respect the sugar syrup and all will be well. But just in case, have a bowl of cold water handy. The fun thing about working with sugar—aside from having something yummy to eat at the end—is that cooking the sugar to different temperatures can completely change the end result. You may or may not have heard about “thread stage” and “hard ball stage.” These descriptive terms explain how a sugar syrup behaves when a bit is dropped into some ice water. Here is an excellent explanation of the stages of sugar. Caramel is a whole different animal. Once you caramelize sugar, it solidifies into a candy that shatters if dropped. Caramel is the amber beer bottle of the candy world. Caramelization occurs right around 330F, and once it starts to happen, it happens very quickly. What Are the Ingredients in Caramel Sauce and Candy? So, how do you get sugar which you have cooked to a stage that you know will yield glass when cooled to end up all chewy and lovely? You add other ingredients, of course. The two biggies in Caramel Candy Land are cream and butter. Cream contributes milk solids and milk sugars and proteins along with some water and fat. The water keeps the caramel from setting too firmly, and the milk sugars and proteins add a different dimension to the sweetness. Once proteins start browning, we’re into Maillard reactions rather than just straight-up caramelization, so the flavor becomes more complex. And guess what the butter brings to the party? Pretty much the same things but in different proportions. A ton of fat, a bit of water and milk sugars and proteins. Cool, huh? Because of the higher proportion of fat, you get a lovely mouthfeel. Butter, unlike cream, is a solid at room temperature and so the more butter, the firmer the set, especially at refrigerator temperatures. Caramel sauce ends up being a soft-set caramel candy in the fridge, and if you let caramel candy sit out in a warm room, it becomes almost a thick caramel sauce. The two are on a continuum that starts with granulated sugar and ends with carbonized sugar. 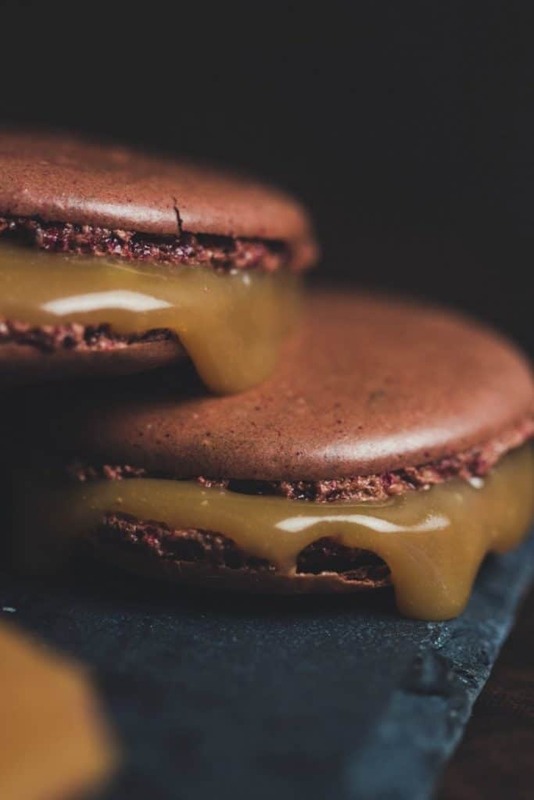 The trick becomes controlling the caramelization and tossing in ingredients that help to mellow and temper the set of the caramel and bring additional complexity through the Maillard reactions. This all sound very Term Paperish, and I sort of apologize for that. But making caramel is a science. It’s also something that happens when you heat sugar. Even someone who has never made candy can melt and then caramelize sugar. Honest. You just need to Respect the Syrup, pay attention to the temperature and color and stand back when you add the cream and butter! I do hope you’ll give homemade caramel sauce and/or caramel candy a try. They are worth getting to know. If you’ve ever made caramel sauce with brown sugar and butter, what you’re really making is butterscotch. Which is good, too. Just different. You can read all about butterscotch and caramel in another post. If you missed my caramel demonstration, I go through the steps of making caramel candy and caramel sauce, plus I caramelize sugar live on air. With a headache. And if I can do that, you certainly can, too. Homemade caramel and caramel sauce are well within your reach. Oh, and the formulas are in the video description, so feel free to click on through to YouTube to watch. Just read this informative, and very delish caramel sauce and caramel candy and I think I just fainted from the lusciousness. Must bookmark this to make soon. Thanks for sharing, JF! And thanks for letting me link to your YouTube video for the marshmallows. Have a great Hump Day ! I am going to tackle this again. I picked up the fleur de salt, is that how you spell it. See it’s so fancy I can’t even spell it let alone use it. I’m going to make this and go all ninja fancy on it. LOL! Ninja the mess out of it, missy! It’s actually spelled fleur de sel, but it means Salt Flowers. Fleur de sel sounds much swankier! I can’t wait to make these!! I think The Beloved ROCKED! He is a very good helper, Betsy! I hope you enjoy them–they are pretty excellent! Quick question, if I add butter, will it take away from the caramel flavour? I’m trying caramel macarons and caramel sauce is too runny. You said butter will make it set more but I need my filling to be full of flavour to balance the very sweet shells. What are your thoughts? How often do you end up with carbonized vs caramelized sugar?